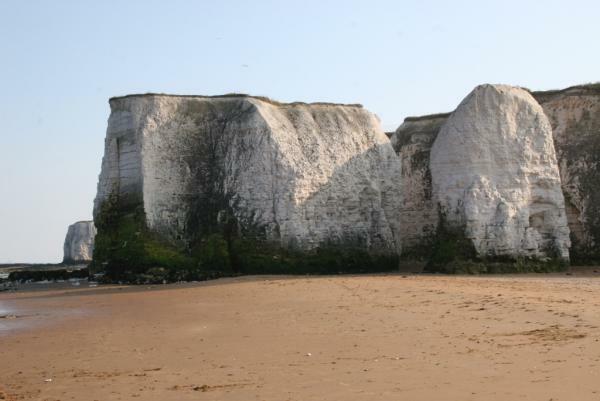 Botany Bay is near Margate on the very extreme South Eastern tip of the Isle Of Thanet in Kent, about 5 miles from our home. It has a great sandy beach, ideal for swimming and sunbathing ( when we have the weather ! ) and great for walking the dog in the winter which was when these pictures were taken . It has the white chalk cliffs that the area is so famous for, with rare examples of chalk stacks.